Rikke Villadsen ( b. 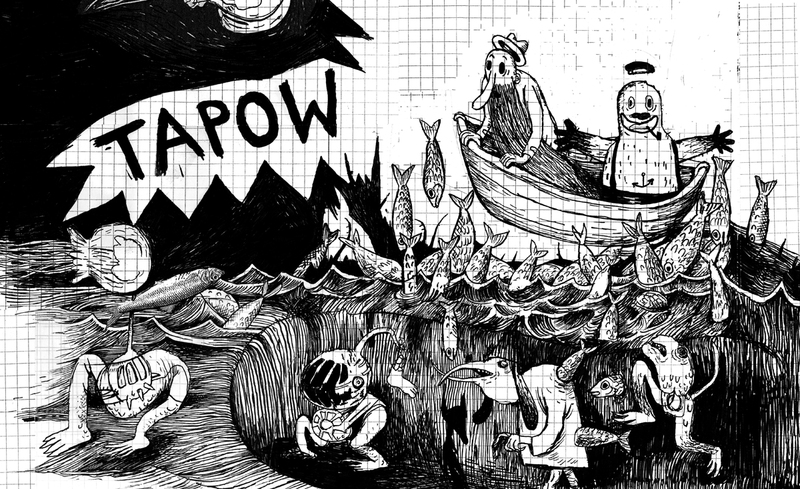 1976 ) is a visual artist working in the field of illustration, art and comics. She depicts a surreal, sometimes gloomy, sometimes funny world of weird edgy characters. The use of intertextual figures and reference to culturel heritage are frequent, though they are merely a filter for her original stories. Rikke Villadsen had her comic debut in 2009 with Skægmanden fra Vardefollowed by the Skægmanden i Skærsilden, 2010. Rikke Villadsen participated in the Nordicomics tour 2010 workshop in Copenhagen and the Nordicomics Copenhagen 2010 Anthology.